Dmitrijs Kass is a Data Science team leader at Creamfinance. Earlier he has spent around 9 years in the banking sector focusing on treasury and risk. In his last position in DNB bank Latvia Dmitrijs was the head of the markets middle office with the responsibility for market and liquidity risk control. He is also a Professional Risk Manager certified by PRMIA. Between DNB bank Latvia and Creamfinance Dmitrijs has spent a two year gap studying mathematics and statistics in the Latvian University, where he is currently teaching data analysis with R for the statisticians. Ieva Azanda is practicing law in the law firm SORAINEN specializing in competition law, EU and regulatory law, corporate and finance law, as well as M&A transactions. Her earlier professional experience also include working for European Central Bank Legal services. Having received Master’s degree in law, she continues to pursue Ph.D degree in the Riga Stradins University. Kārlis Jānis Ātrens has been working as an IT professional since 1983. In Australia until 2003, he worked in a large federal government department in various programmer and system development roles located in Canberra and then in Sydney at Australia's largest internet provider company Telstra in roles associated with IT infrastructure build, internet operations and IT management. Upon relocating to Latvia in 2004, he has worked for 12 years in an IT managerial role for the Kesko corporation (from Finland) in the Kesko Agro and Konekesko Baltic subsidiaries. During 2012-2015 he completed his professional MBA degree at the Rīga Business School where since he has been active in guest lecturing and teaching subjects in the BBA course. His other responsibilities include serving on the boards of Transparency International (Delna) in Latvia and Lettonia (Student Fraternity). Justin Wesley Bancroft is a member of Lattelecom Supervisory Council since 25 January 2013. He is a Certified Public Accountant and Certified Internal Auditor, and a former partner with Deloitte, an international “Big-4” professional services firm. From 2012, he has been an independent consultant in the areas of finance and corporate governance, and a guest lecturer or adjunct faculty at the Stockholm School of Economics in Riga and Riga Business School. Chiaki Bems is lecturer in American history and literature. Her research interests include the twentieth-century American poetry, the visual arts, and comparative literature. Jānis Bergs has been working in IT industry since 1993. Over this time period he founded, headed and further developed company Fortech that grew into Pan-Baltic IT corporation Microlink with more than 600 employees and 20 companies. Having sucessfully sold these companies to consortium Baltic Telecoms. Janis Bergs is now the major shareholder and chairman of the Board in the company FMS Ltd. that develops and implements management information software. His other responsibilities include being Board member of LIKTA (Latvian Association of Information and Communication Technologies) and Chairman of Board of Latvian IT Cluster. Ingrīda Blūma’s work experience is mainly related to the banking sector, where she worked for almost 20 years. Working at Hansabanka in the capacity of the Executive Vice President of a company gave a unique business experience in the banking industry and corporate business environment. Under her leadership Hansabanka grew to to become the biggest bank of Latvia. Ingrīda Blūma believes that the formation of a good management team the main and the most important task of a good manager. Her other responsibilities include member of the company PureFood and RBS. Her additional training includes INSEAD Advanced Management Program and Strategic management and leadership training course at EBRD. Ingrīda Blūma also serves on the Advisory Council of RBS. Juris Blums is accotiative professor in physics at Riga Technical University and the vice director in learning of Technical Physics Institute. Scientific interests: investigation of laser induced creation of electrically active centres in silicon and germanium as well as the heterogeneous precipitation of oxygen at such centres; the ultrafast X-ray spectrometry of melting dynamics of semiconductors under action of laser radiation; modification of solids with laser radiation, characterisation of thin films on textile substrates by laser radiation, creation of human motion energy harvesters and its integration into apparel, ambient motion energy harvesting by electrodinamical and electrostatical harvesters, elaboration of physics study materials for distance learning and teaching. Visiting professor at Oulu Technological University, Finland,11.2005 and at University of Applied Sciences Berlin (Germany), 05.2012. Author of more than 25 scientific papers, 5 Latvian Patents. Katrīna has spent her working career of 10 years in FMCG industry. She has developed her career in Rimi, leading food retail chain in Baltics, currently her position is category support manager. PhD cand. in Social and Organizational Psychology, University of Latvia. Currently working as an organizational psychologist in Intellego (Center of Cognitive Behavioral Therapy), and as a researcher in State probation services of Latvia. Andrejs Dzedons is an Associate Professor at Riga Business School. He has spent 12 years teaching strategic management and operations in the Riga Business School MBA program and has regularly trained and consulted many regional businesses. He holds PhD degree from Latvian Academy of Sciences in power electronics and MBA from State University of NewYork at Buffalo.His research interests include company operations , strategy and distinctive competencies of the companies. Andrejs Dzedons also serves on the RBS Council. Inese Eglite has more than 10 years professional experience in marketing in FMCG and service industry gained in the positions of Marketing Director in Latvijas Balzams, Aizkraukles Banka and Riga Stock Exchange. Since 2001 she has been teaching marketing and marketing research in RBS. She has also been a trainer for the Chartered Institute of Marketing (CIM) and acted as a management consultant for various businesses. Her fields of expertise are international marketing strategy, new product development process and non-traditional marketing. Daiga Ērgle is Chief People Officer at 4Finance global group. Before joining 4Finance in December 2018, she was Vice President Human Resources at airBaltic for almost 8 years. Earlier in her carreer, Daiga was heading Executive Search branch of Fontes Group - Aims International (member of a global network). Her prior Human Resource management experience comes from several international companies, including Siemens, Stockmann and Gutta. Her fields of expertise cover General Human Resource management, Executive Search, Assessment & Development. She has HRM consulting, as well as Training background. Some of her professional social roles include active HR Club membership since 1999 and chairing of FICIL’s Labor Committee for the 3 year period from 2007 till 2010 and chairing the Board of Latvian Aviation Association in 2016 and 2017. In parallel to her daily work, she teaches HRM & Leadership for MBA and Executive MBA students at Riga Business School since 2008, as well as occasionally speaks at local and international events on various people management and leadership topics. Within her PhD research, she focuses on Employee Engagement and Gamification in HR. Daiga passionately believes in enormous personal and organizational benefits of people being engaged with the work they do, as well as in everyone’s ability to be in charge of their work and life happiness. Ricardo Martín Flores studied Business Administration at Complutense University, with specialization in Actuarial and Financial Sciences. He has got a Master in Statistics and Operational Research. He has been certified as “Expert in Coaching” as well. He is currently researching on his Phd while transferring his Dissertation from University of Las Palmas de Gran Canaria to University of Latvia. More than ten years of practical experience working as HR Manager for JSC “Air Baltic Corporation”, British Embassy (Baltic-Nordic Network), and JSC “Citadele banka”. Has been responsible for HR strategy and policies, industrial relations, internal communication, leadership and organizational development and various change programs implementation. The key strength areas are change management, performance management recruitment and leadership development. Active member of Latvian Human Resource management association. Has graduated MBA in Latvian University, Has professional qualification as certified Change Practioner and Business Coach. Currently studies for PhD in Business Management program and is developing own business INTÚ, personalized network for independent professionals, business and science. Lāsma Gaitniece is a Latvian language instructor at the RTU, Faculty of E-Learning Technologies and Humanities, and at RBS. She is a member of the Association of Journalists (Republic of Latvia) and of the European Latvian Association. Since 2005 she has been the associate professor for Latvian as a foreign language courses. She has worked as a guest lecturer at Johannes Gutenberg University of Mainz (Germany) un University of West-Hungary (Hungary). In addition to her degrees in linguistics, has also received a degree in Public Relations. Ms. Gaitniece is author of multiple publications and several textbooks. Jānis Grabis is a Professor at the Faculty of Computer Science and Information Technology, Riga Technical University, Latvia. He obtained his PhD from the Riga Technical University in 2001 and worked as a Research Associate at the College of Engineering and Computer Science, University of Michigan-Dearborn. He has published in major academic journals including OMEGA, European Journal of Operational Management, International Journal of Production Research, Computers & Industrial Engineering and others. His research and teaching are in areas of process optimization, enterprise applications, supply chain management, and project management. He also serves as a director of Institute of Information Technology, Riga Technical University. Glen Grant is currently a lecturer in Human Resource Management (HRM) for the BBA course at RBS. He is an experienced reform and transformation consultant working at Government level in the fields of Defense and Security, Justice, Education, Governance, Business and Sport. Recent international clients include Telecoms and Universities. Glen brings a unique insight to HRM having served as an Army officer, been a diplomat, a political adviser, a journalist, a sports coach, an international company CEO and run a prison. There are few people issues he has not faced at least once. Before joining the fintech industry in 1999 Aldis Greitāns had spent seven years in different managerial and executive positions in Latvian banking. From 1999 he served as the CEO of Nacionālais Maksājumu Centrs (later Itella Information and OpusCapita) and as the chairman of supervisory councils of several companies of Itella/OpusCapita group. From 2012 till 2015 Aldis Greitāns was a member of the supervisory council of Citadele Banka. Jānis Grēviņš has been the Director of Riga Business School at Riga Technical University since April 2003. He also serves as the member of Lattelecom Supervisory Council. He is teaching and conducting research on the effects of modern communication means in project management. From 1998 till 2003 J. Grēviņš studied for his PhD and worked as a project coordinator at the School of Management of the University at Buffalo, State University of New York, USA. Voldemars Innus has more than 30 years experience as a service and information Director and Vice-President at the State University of New York at Buffalo providing the leadership, coordination and management to integrate IT planning and implementation efforts by the university community.Voldemars Innus was also instrumental in the creation of Riga Business School and was awarded the Three Star Order for outstanding civil merits in the service of Latvia in 2005 . Voldemars Innus is the chairman of the Advisory Board of RBS. Inga Jakobsone has more than 10 years experience as a Managing Director in company International Paper, providing leadership, coordination and management to integrate Baltics operations into company’s European business. Her fields of expertise cover Strategic Management, International Business, Production and Operations Management. Inga Jakobsone has received PhD from joint doctoral program of BA School of Business and Finance, RISEBA and VA in business management. Andrejs Jakobsons teaches economics-related courses at Riga Business School as an Adjunct Professor. In recent years he has worked as a researcher at the Baltic International Center for Economic Policy Studies (BICEPS) and a consultant on labor market issues. His research interests include international economics, labor economics and macroeconomics. Previously Andrejs worked as an economist for the World Bank Latvia Office carrying out research and project-related duties (1998-2006). He holds an MA degree in Economics from Indiana University, USA. Andrejs Jakobsons also serves on the RBS Council. Maksim started his education in mathematics and continued it in computer science. After graduating Bachelor and Masters programs of Physics and Mathematics faculty, spent 10 years working for major Latvian companies, such as Lattelecom, LMT, Tele2, Latvenergo, allowing to build a strong technological and managerial profile. Joined „Accenture in 2004, and already in 2007 became lead of Accenture Latvia thanks to a strong vision and high performance strategy of Maksim. Valters Kaže has 20 years experience in marketing and strategy. Duringhis career he has held marketing executive roles at leading international companies in the Baltics within financial services and FMCG sectors.Valters earned his PhD in Economics from University of Latvia. His primary research interests are related to consumer behaviour, international marketing and business competitiveness. Besides his professional and academic roles, Valters is a member of the board at the Latvian Association of Marketing Professionals - the national association of marketing practitioners. Andrejs Koliškins is a Professor at Riga Technical University and an Associate profesor of statistics at Riga Business School. He is also a visiting professor teaching at Honkong University of Science and Technology. His research interests involve investigation of stability problems in hydraulics and fluid mechanics with applications to open-channel flows and transient flows in hydraulic systems, mathematical methods for heat and mass transfer problems, mathematical models for eddy current testing problems and business applications of statistics. Andrejs Koliškins has extensive list of academic publications. Andrejs Koliškins also serves on the RBS Council. Laine Kristberga is a researcher at the Institute of Philosophy and Sociology of the University of Latvia. She is a PhD candidate at the Art Academy of Latvia and an author of numerous publications, including in such publishing houses as Routledge and Cambridge Scholars Publishing. Her research interests cover art and politics in the Socialist period, intermediality, and the concept of posthuman. Laine Kristberga is also an active member of the Nordic Summer University, where she has had experience in several positions: Head of the Arrangement Committee, Coordinator of Circle 2, Deputy Board Member. Sandra Krisberga - Extensive (15 + years) business and managerial experience in European Pan –Baltics and Scandinavian markets), in the area of sales and marketing. Diverse international business sectors - FCMG (Gutta), Retail (Nelss), Industry supplier (Tetra Pak). Professional experience of working in Sweden with Tetra Pak, handling one of the biggest and most challenging customer – Arla Foods and where she was the member of the strategic team and business development team driving the key account strategy and its implementation across diverse markets. Currently Sandra acts as lecturer and public speaker on various subjects while her core area of interest is mindfulness at work and decision-making. Marina le Clere has extensive international work experience in finance and business development functions of multinational corporations. She worked in such companies as Goldman Sachs in New York and Honeywell Europe in Czech Republic and Belgium. Her fields of expertise and continued interest cover financial analysis, company valuations as well as financial aspects of decision-making process. Raimonds Lieksnis currently holds the position of as Finance Director in SIA TVG where he develops company financial strategy as well as works with external financers to obtain financing for company’s development. He is also Finance Director of SIA Tilde. Raimonds Lieksnis is working towards his Ph.D candidate in economics at Riga Technical University. His research interests include predictive power of price patterns in the Baltic Stock market. Raimonds Lieksnis also serves on the RBS Council. Greg Mathers has lived in the Baltic region since 1993. In that time he has established and run 4 different companies. He also has more than 12 years experience in consulting and management development with companies such as SEB, Accenture, Roche, Radisson, Telia, Oracle and others. Since 2001 he has taught leadership and management in the Riga Business School MBA program. Sanita Meijere has joined Ph D program at Riga Technical University, Management sciences, specifically focusing on IT strategic management. Currently providing quality management, continuous service improvement and information security management for Scandinavian company Atea Global Services and consulting few start - ups in Georgia and Ukraine. Her previous work experience as well is related to IT industry for 4 years creating and managing Latvian IT company`s DPA branch in Georgia, 1 year in Microsoft Latvia. Besides IT and management strong experience in intellectual property rights. Inese Muzikante started working as an assistant to prof. V.Reņģe. To begin, she conducted interactive seminars for students in Organizational Psychology and now she is leading a course titled “Organizational Psychology”. Inese Muzikante has both a PhD and Master’ s in Social Psychology from the University of Latvia. Her primary research interest is Traffic Psychology. Dr. Muzikante observes and tests drivers and tries to explain why they drive as they drive. She has observed that almost everyone has an opinion about other drivers and explanations of their behavior. Polina Nazarova is at the moment working as a Head of Marketing Department for an IT company „Inbox”. Prior to that, Polina had 8 years experience in Radio industry, working in Sales & Marketing field. Her main fields of expertise include positioning, advertising, social media, product development. Polina has been a speaker for many industry conferences and events and is giving lectures on different Marketing topics. Having received Masters degree in Marketing, Polina is at her final year for MBA degree in Finance (Riga Business School). Tatjana Nikitina is Chief Operations Officer of Amber Games Company where she is in charge for processes change management and day-to-day operations. Tatjana started her professional career in banking and finance industry, but last 7 years she is in game development business. In total, Tatjana has about 15 years of delivering IT service for international clients while client success, project management and operations excellence are included in range of interests and expertise. She acts as a guest lecturer in number of Latvian high schools and a speaker at industry events. Jānis Praņēvičs is Associate Director at venture capital and private equity fund management company BaltCap AIFP. Previously he worked in Citadele Asset Management, covering regional and global equities and third party mutual funds. 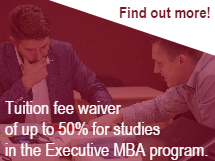 Jānis holds an MBA degree from Riga Business School and is a CFA charterholder. Bill Schaub is a co-founder and managing director at INNOVETA Strategies, a Washington DC based consultancy specializing in ethics driven leadership and the human risk variable. His resume includes sales management, risk management, operational and capital market development and governance experience in the U.S. as well as emerging markets in Eastern Europe and the Middle East. Among other achievements, Bill was part of the team at Merrill Lynch Credit Corporation who helped them to be the first financial services company to win the Malcolm Baldridge Quality Award. In Eastern Europe Bill led the Baltic-American Enterprise Fund’s Mortgage Program and later led GE Money’s Central and Eastern European Mortgage Products across the Czech Republic, Hungary, Romania, Turkey, Russia, Poland and Latvia, serving as the Chairman of the Supervisory Council of GE Money Bank Latvia. Bill also developed a Shari’a compliant mortgage capital market pricing, hedging and funding program for a Deutsche Bank joint venture in Saudi Arabia. Bill is a member of the Connecticut Society of Certified Public Accountants. This highly interactive course combines an extensive body of knowledge from social psychology – focusing on social influence, behavioral change, persuasion, and hands-on development of socially influencing systems. The course explains the role of persuasive technologies and their applications to various problem domains in management. The course is toughed by one of thought leaders in the field, currently working at Massachusetts Institute of Technology (MIT). Dr. Agnis Stibe is a Social Engineer at MIT Media Lab. His research is built upon socio-psychological theories to design Socially Influencing Systems (SIS) for health behavior change at scale. Agnis is an active member of Persuasive Technology community, frequently speaking at annual conferences and effectively collaborating with industry. He is teaching MIT and presented his findings at TEDx talk and TEDx interview. Kaspars Šenvalds is the Chief Financial Officer at NCH Advisors Inc., a USA based investment fund with over 3.5 USD billion of capital under management in CIS and Eastern Europe countries. He is also the Quality Manager at Domus UK LTD, a UK based real estate developer. Previously he held financial analyst position at Swiss based asset management company. His fields of interest cover investment portfolio management, business valuation as well as real estate investment. Mike Wells is an American entrepreneur, angel investor, and teacher of entrepreneurship. At age 27, he cofounded Arnet Corporation, a Tennessee-based IT company, which went on to be listed twice on the INC. 500 list of America’s fastest growing private companies. In 1991 he sold Arnet and became an angel investor and has bought and sold businesses in a variety of sectors. He has previously taught entrepreneurship courses at Vanderbilt, Oxford Brookes, City University London, Queen Mary University London, Warwick and the Stockholm School of Economics in Riga. Dr. Wells is also a prolific writer and has authored more than 20 novels. He now runs his own e-publishing business and markets his own ebooks and digital audiobooks. Successful marketers maximize their sales opportunities by using integrated marketing communications, which include advertising, personal selling, promotion, direct marketing, public relations, customer relationship management and electronic media. Prepare an integrated marketing communications plan as part of the course's curriculum. The course is taught by Peter Young. Peter brings to the class a unique combination of education in Political Science, New Media Technologies & Journalism, and Information Management Systems, and experience with classical and new media. He has taught at both San Jose State University; University of California at Berkeley. His special expertise is new media technology integration into various modalities of communications to include television, radio, and print. In this capacity, he is the senior advisor to the world’s first leisure news agency – RelaxNews. His academic activities are limited until after parliamentary elections.